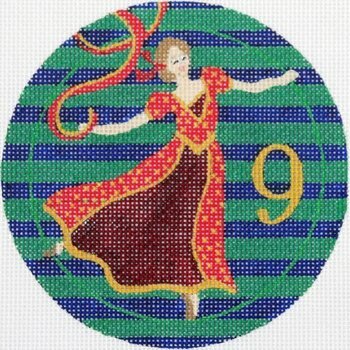 9 Ladies Dancing is a beautiful addition to your traditional Christmas ornament collection. This series is by JulieMar Needlepoint. Helenz Bag 6" x 5"